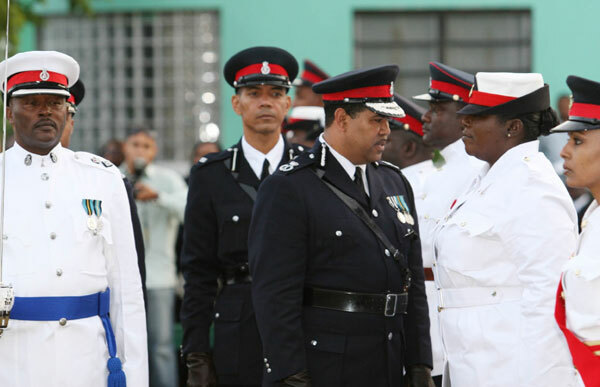 Nassau , Bahamas -- Newly appointed Commissioner of Police Ellison Greenslade announced that strategic priorities will form the plans and actions of the Royal Bahamas Police Force for the year 2010, as an intervention to serious crimes in The Bahamas. Taking care of the people of the Commonwealth of The Bahamas , reducing crimes, enhancing community safety, youth engagement, involvement and intervention and national security are among the priorities. Commissioner Greenslade said, “We will contain our current efforts to become a strategy focused but flexible organization with a caring, respecting and trusting culture. We want to be an organization that is adaptable, innovative and responsive to the needs of the people we are sworn to protect and serve. He spoke during a ceremony at Police Headquarters to mark his confirmation as Commissioner of Police, Monday, January 4. He took over from retired Commissioner Reginald Ferguson, a native of Acklins, who served on the Force for more than 44 years. Governor-General His Excellency Arthur D Hanna, members of the Cabinet, Members of Parliament, Senators, members of the Diplomatic Corps and senior public officials were among those in attendance. 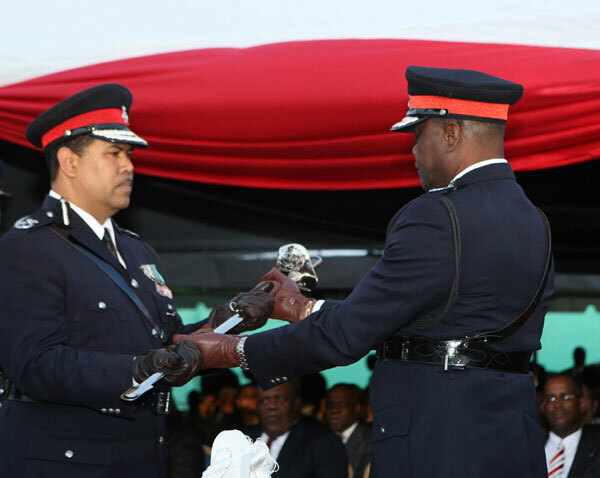 In addition to the appointment of Commissioner Greenslade, Marvin Dames was confirmed as Deputy Commissioner of Police and Quinn McCartney as Senior Assistant Commissioner of Police. 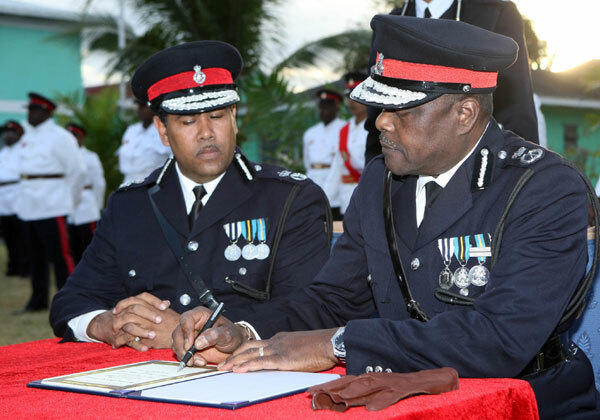 The new Commissioner pledged to do his best for a safer Bahamas. He encouraged police officers to continue to make their best contributions to making The Bahamas a safer place to live, visit, work and play. In his farewell remarks, Mr Ferguson said the most important ingredient for success is professionalism, the renewed attitude of integrity, values and principles such as honesty, selflessness and commitment to the task. “Policing is a calling not for one whose motive is to become rich or popular overnight, nor for those seeking plaudits or self-advancement,” he said. Mr Ferguson thanked those who advised, motivated, encouraged, or provided opportunities for upward mobility throughout his career and to those who were instrumental in causing him to fulfil his duties with dignity and integrity. He expressed gratitude to the commissioners who preceded him including Salathiel Thompson and Gerald Bartlett (both deceased), Bernard Bonamy and His Excellency Paul Farquharson, Ambassador of The Bahamas to the United Kingdom. 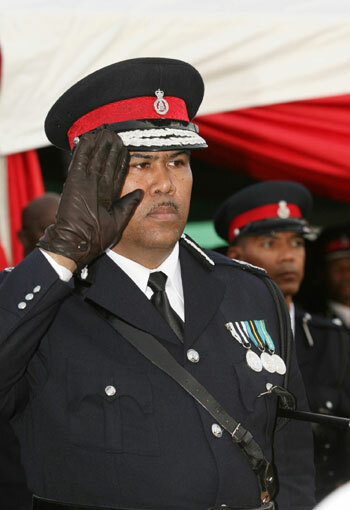 He acknowledged his clerical and support staff, including Cheryl Brown and Stacey Farrington; his staff officer, Inspector Kimroy Ferguson and Constable Adderley and Constable Cox, chauffeurs.